Need mom or dad's help enrolling in our driver's ed course? Just fill out the form and we will send mom or dad an e-mail with all the info they need to help enroll you in our online driver's ed course. Thank you. We will send your mom or dad all of the information needed to enroll you in the DriverEdToGo online driver education course. Online Drivers Ed INEXPENSIVE, EASY, & FUN! Our state approved courses are all you need to earn your learner's permit or driver's license. 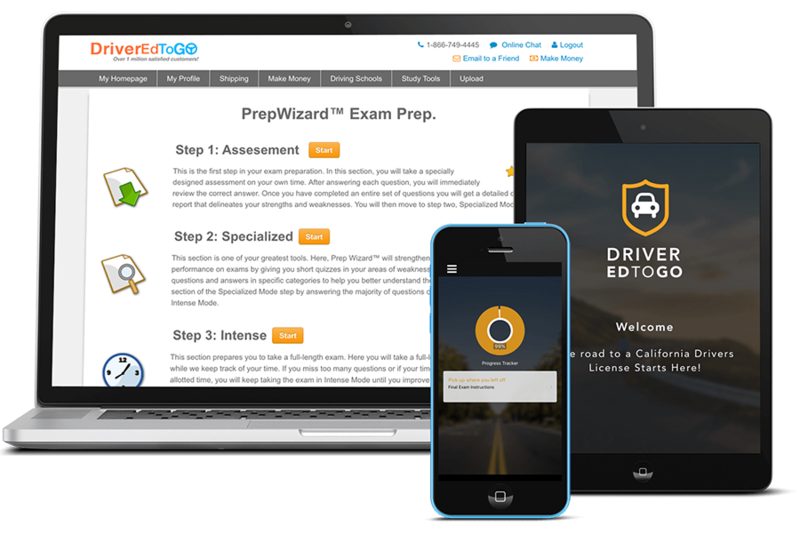 "We are grateful to DriverEdToGo.com for providing D.A.R.E with an online driver education program that offers the qualities parents, schools and teens look for. Their courses offer several interactive features including games and driving simulations that help students learn so much better. With something so sensitive as the safety of our teens, we were not willing to settle for anything but the absolute best." Our online drivers ed courses are fun and educational. Interactive videos, audio read-along & instructional drills teach driving concepts. Our revolutionary helps teens ace the DMV exam on their first try. We have graduated over 4 million students.